Maximum Speed: 90 MPH Length: 69' 6"
Train Brakes: Vacuum and Air Height: 12' 10"
Train Heating: Steam Heat (Isolated) Width: 9' 0"
D345 was the first locomotive of the final 54 class 40's, constructed with centre-headcode panels, entering traffic on the 17th of May 1961 with BR Eastern Region where it remained allocated throughout. 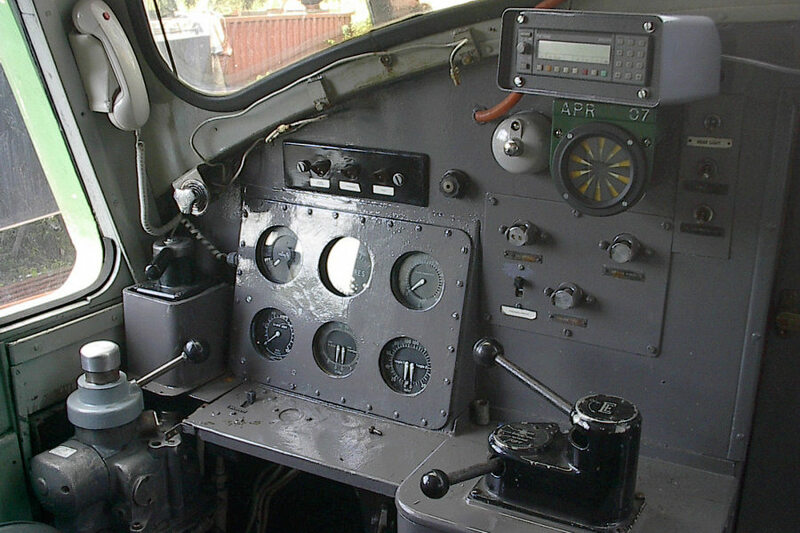 The loco was converted from vacuum only to dual brakes in September 1969 and became 40145 under the TOPS system in January 1974. Damage sustained in a derailment at Stourton Yard, Leeds saw 40145 withdrawn from the 10th of June 1983. 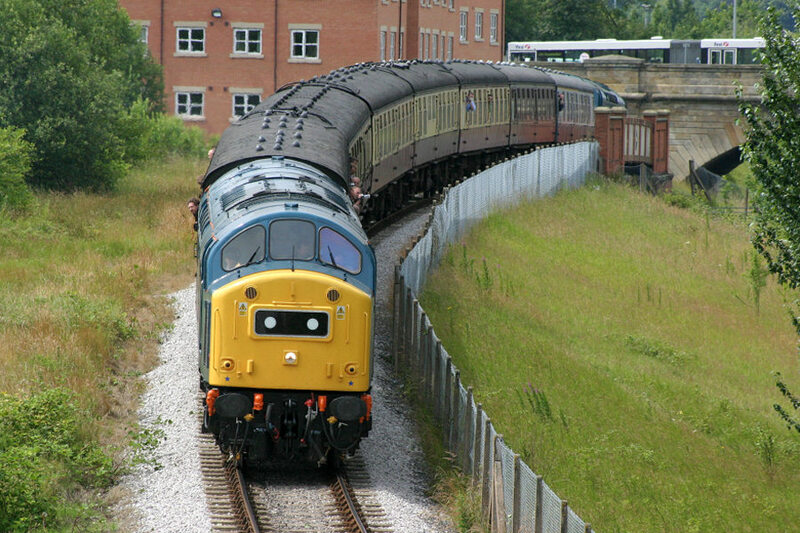 40145 was the first of the seven class members to be secured for preservation and was an early diesel arrival in Bury on the 16th of February 1984. 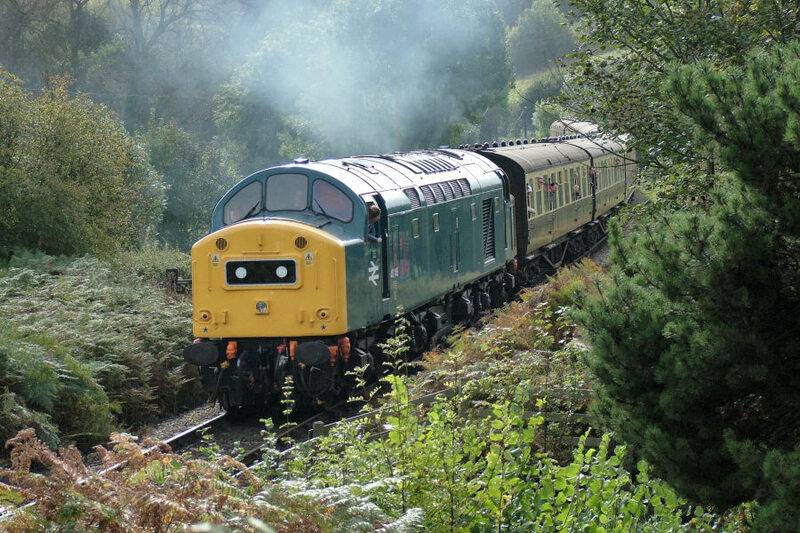 Another first came in 2002 when, in BR Green as D345, the loco gained a certificate for mainline operation on the 28th October. 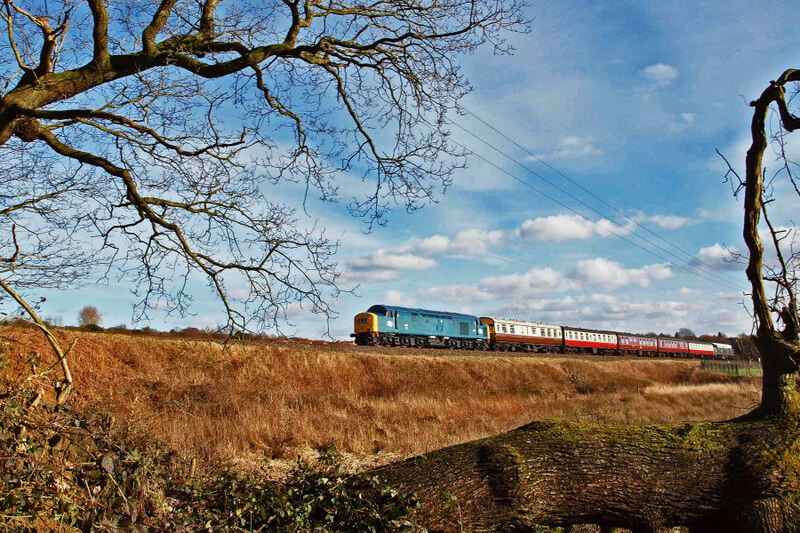 D345 hauled her first mainline railtour since preservation on 30th November 2002 'The Christmas Cracker IV'. On September 4th 2010. 40145 suffered a traction motor flashover near Grantham whilst working the CFPS's 'East Lancs Explorer' Railtour from Rawtenstall to Cambridge. Further investigations discovered serious generator damage meaning a longer and much more expensive repair job. 40145 was kept at Barrow Hill whilst the generator went away for attention and other remedial and internal works carried out. 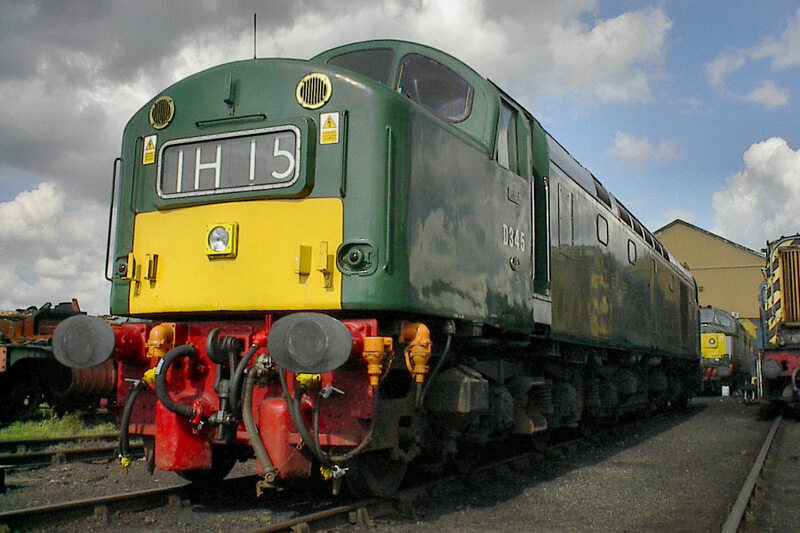 The repaired generator was returned to Barrow Hill on April 23rd 2013, reunited with the power unit and returned to the loco on the 1st of May and the power unit was successfully started on the 15th of May. Load-bank testing revealed problems with the fuel pumps and injectors which had to go away for attention. 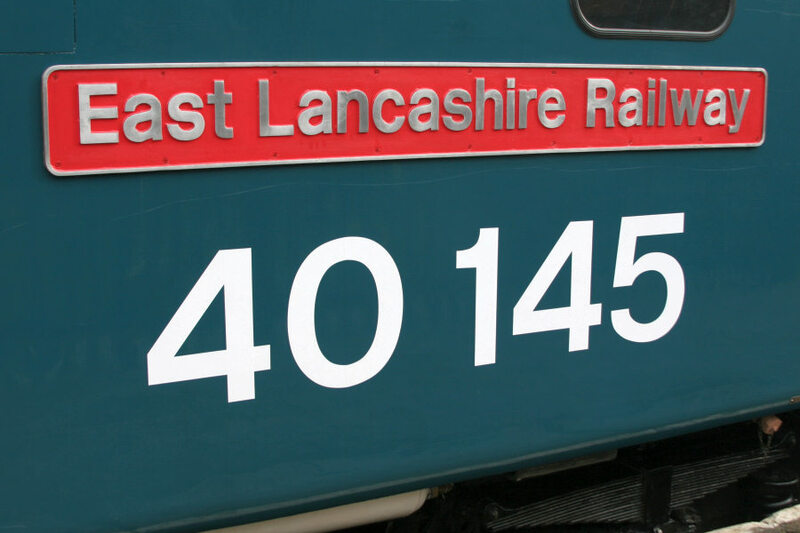 As of the 4th of November 2013 the loco, now in BR Blue as 345, is complete and re-certified for mainline use. 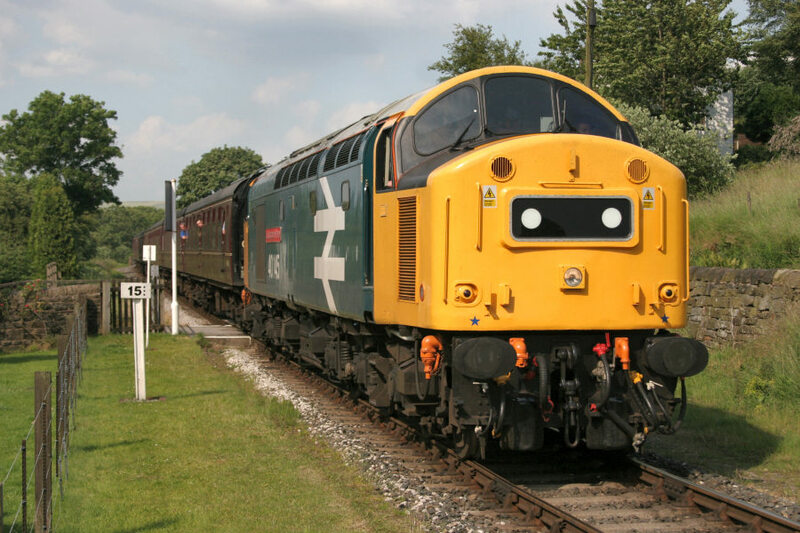 A celebration running day took place on Sunday the 16th of February 2014, marking 30 years to the day since 40145 arrived at the East Lancashire Railway back in 1984. 40145 returned to the mainline again in 2016 with the 'THE EAST LANCS FIREBRAND' comprising of a Mini-Tour, Carnforth to Bury, on Friday 30th September and Main Railtour, Bury to Stratford-upon-Avon, on Saturday 1st October. 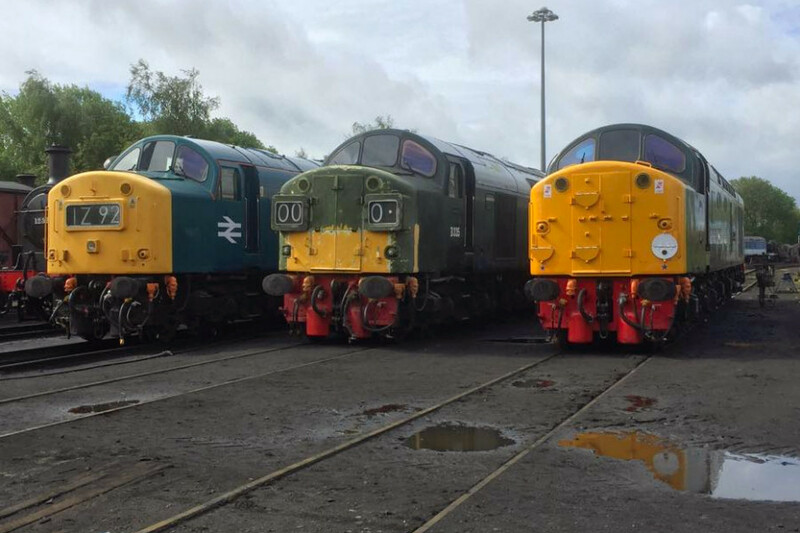 2017 has seen another mainline outing for 345 with the 'THE EAST LANCS ENTERPRISE' comprising again of a Carnforth to Bury Mini-Tour, on Friday 9th June and Main Railtour, Bury to Llandudno, on Saturday 10th June. 345's tyres are approaching life expiry and will need replacing soon. 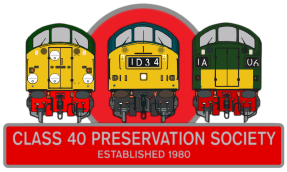 You can help with the associated costs and the upkeep of all three CFPS Class 40s ... Why not Join the CFPS if you haven't already or simply Make a Donation. Thanks to all of you who continue to support the CFPS. Please consider joining the society if you haven't already or make a donation to help keep all three 'Whistlers' going strong.